May is mental health awareness month, so I wanted to make sure I talked about it before it was over. I feel like the past several posts have been about mental health in one way or another — my seven year clean date, my decision to make more time for this blog, and my announcement of my writing sabbatical in September. I’ll be sure to get back to fitness, food, and other helpful wellness posts, but this is always a passion of mine so we’ve got one more for you for now. I struggle with depression and anxiety, as do a ton of people across the country. It’s not about being bummed out or nervous to give a presentation, it’s something that takes over and impairs my ability to live life successfully. It’s not something I can just “will away” and it’s taken a lot of work to get to the place that I am today. 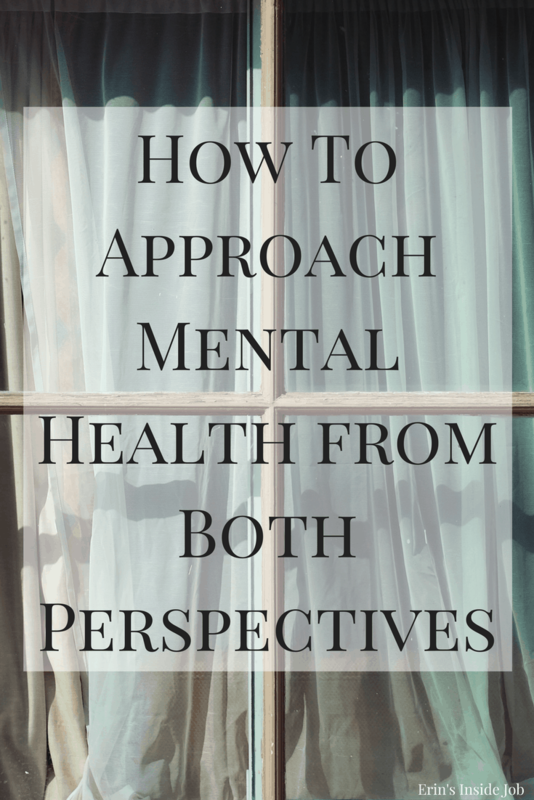 I wanted to share some of my suggestions for dealing with mental illness from both an inside and outside perspective. I’ve split them up and have written out what’s been most helpful for me in my own life. Feel free to add your own suggestions in the comments! This is already a big tool from the previous example, but I wanted to make sure to emphasize it again. Any kind of mental illness or addiction can’t be beat by yourself. As often as I tried to will myself out of using and depression, I always failed. If I’m not in the right mental state, how can I expect to make decisions that will heal me? Getting help from those around me made a tremendous difference in my recovery. 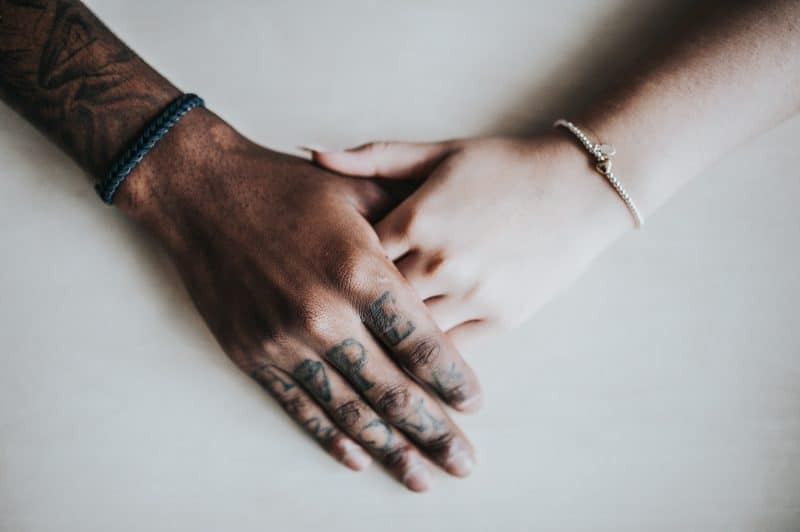 Utilizing therapists and support networks are good steps in realizing you’re not alone and finding solutions that you may not be equipped to come up with on your own. If you’ve been diagnosed with a mental illness, learn about it. This doesn’t mean spend all your time on WebMD scaring yourself to death, but talk to other people who struggle with the same thing, visit reputable websites aimed at raising awareness and educating others about what you’re going through. Talk to a therapist. Knowing what you’re dealing with makes it less scary and allows you to understand what steps you may need to take. The decision to take medication to treat your mental health is a personal one. For me, I found it was a complete lifesaver. I didn’t realize what I was living with until it was gone. If you’re interested in reading about my experience with antidepressant medication, you can find it here. Personally, I think that medication works best in conjunction with some type of therapy. It doesn’t have to be consistent therapy, but I think that it should be incorporated at some level in a medication regimen. Educate yourself and weigh your options, but don’t immediately dismiss it as an option. One of the hardest things for me to do was to slow down and trust the process. As an addict, I’m a big fan of instant gratification and slowing down was something that took a lot for me to do. Acknowledge that you’re going through a tough time. Understand that it won’t be fixed immediately and give yourself time to trust the process and keep going. I’ve always said that all I want is a recipe to follow for life and I’ll do each thing to get from point A to cake. The problem is that with mental health and emotional issues, there is no recipe. There’s no stringent timeline and there’s no knowing how long things may last. All you can do is keep showing up for yourself and doing the best you can. Make sure to let them know that you’re there, you’re listening, and ask them specifically how you can help or how you can get them help from someone else if you’re not the best person. And so on and so on. Before you speak, consider the other person’s feelings. They’re not doing it intentionally. Think about how you would want someone to help and talk to you. Watching someone you care about go through a tough time can be hard, especially if you haven’t been there. It’s an easy jump to lose patience and wonder “why can’t they just snap out of it? ?” Reserve judgement and realize that they are going through their own journey that you may not understand. If it’s not something you’ve experienced before, show your support by learning about what they are going through. Read about depression. Read about addiction. Read about anxiety and other mental illnesses. Having a better understanding of mental health will help you react more appropriately. It can be easy to lose sight of yourself while worrying about someone with mental health issues. If the problem is severe or if it’s someone close to you, you may find yourself preoccupied with how they’re doing. This leads to a focus of attention away from yourself and onto them. Set boundaries so that you can protect your own well-being and mental health. It can be hard, but if you’re not taking care of yourself, you’re certainly not equipped to show up for anyone else. This is such a good post. Especially regarding using support and taking care of yourself. I have so many who think they can “will themselves better” which means they do not understand or choose not to understand the chemical imbalance that takes place in the brain and thst has nothing to do with will power. I see this all this time with my addicted folks drives me insane! It took a whole support system to get and stay high why on earth don’t think It will take the same to get and stay sober. I working on an article with a working title Give Me That Good Ole Time Recovery (a play off of the song that ole Time Religion) addressing the issue of support, responsibility and accountability that I believe is missing in the most of the of this over use of the word “epidemic”. I think too many are using it as an excuse to not do the work they need to do to get better. I had a woman yesterday who is very depressed but every suggestion I gave her, she yes/but’ed. So I told her until she was ready to do some work there was nothing I could do. I can’t make her life better for her. She has to be willing to at least get in the game. So again great post. Having a better understanding of other’s struggles, especially intense anxiety or OCD or depression, has really helped me be more compassionate, because I used to not understand them as much. It’s been a gift to have bloggers open up and share their own struggles, because it’s helped me understand people that are close to me in a deeper way. And vice verse, the tips at the top for taking care of my own mental health especially when it comes to eating disorders and recovery, are so good. Every girl and guy needs to read this. Extremely useful tips, and I so appreciate your honesty. I fully agree with your point about medication. We often shun it and label it as a ‘last resort’, when in reality it can do so much for so many people. Again, thanks for opening up and sharing your story! These posts have such great information! Not only for individuals that are struggling with depression but ones that are trying to figure out how best to care and love those with a mental illness. Super helpful post. Loved that you added tips for others as well, it’s so important to have a good support system. I find depression and anxiety is closely tied to shame, and being able to talk about it kills shame. Having friends that won’t judge me is super key in my journey. Great tips, Erin. Totally agree with Ange about anxiety/depression being tied to shame. Just knowing others are going through similar things and have similar feelings/moods/fears/etc is such as benefit to me. LOVE this. I think for others it is so important to be patient. Having patience is hard when someone is struggling with mental health, but boy is it needed! This is so important, I know so many who struggle with one form or another of mental challenges. I loved how you looked at it from both perspective, because as someone who doesn’t struggle but wants to help, it’s sometimes hard to know how.